Egyptian-style Stylish and very unusual. 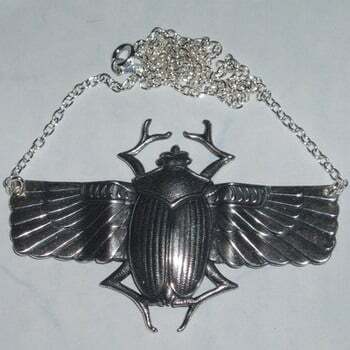 Fabulous vintage stamped sterling silver plated Winged Scarab Beetle, on a silver plated chain. Various lengths available. You can also choose to add a pair of sparkling Swarovski crystal eyes.